Platelet-Rich Plasma PRP Therapy | Glenn D. Cohen, M.D. I am a firm believer in a trial of conservative (non-operative) care prior to proceeding with a surgical procedure. Both surgical and non-surgical treatment options have brought relief to my patients suffering from hand, wrist, and elbow ailments. "Dr. Cohen is a miracle worker!" says Sylvia in Agoura Hills, California. 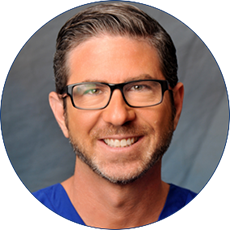 Although a highly skilled expert in hand, wrist, and elbow surgery, Dr. Cohen understands that in many cases it is better if surgery can be avoided. Platelet-Rich Plasma Therapy is one type of treatment which can allow him to effectively treat damaged tissue and alleviate pain before turning to surgical options. Platelet-Rich Plasma (PRP) therapy is a procedure in which a patient’s blood is drawn and then placed in two special centrifuges which spin the dawn blood at a very high speed through a type of very fine screen in order to separate out the fundamental components of the blood - plasma, red and white blood cells, and platelets. Platelets are significant in that they contribute to the process of hemostasis or clotting and they also contain “bioactive growth factors” or proteins which target specific tissues and cells to affect different aspects of tissue healing and growth. A new mixture of the separated components is made which has an elevated ratio of platelets to plasma (roughly 3-5 times the natural ratio). This new PRP is then injected back into the patient at the site of the injury or damaged tissue to stimulate healing of all types of tissues. Due to platelets’ role in forming blood clots, the PRP creates a sort of internal clot at the site of the damaged tissue which can act as a “scaffolding” onto which other white blood cells in the body can attach in order to give a precisely-located jump start to the healing process. Once the clotting function of PRP has been initiated in the body, it begins to release bioactive growth factors which work on specific cells in order to stimulate growth and aid tissue recovery. What Are the Effects of PRP Therapy? Lab tests on ligament tissues in non-human subjects and tissue samples have shown increased cell proliferation (division) as well as an increased level of collagen, an important component of connective tissue in those cells, when PRP is applied after a sudden acute injury. For chronic pain and tendinopathy in human subjects, PRP also appears to aid recovery of affected tissues based on results from a number of studies. Many people may be concerned about receiving PRP therapy because insurance companies normally do not cover it due to a lack of double-blind clinical trials in support of the therapy. However, no major drawbacks have been reported in the current medical literature, and the worst side-effects are a potential temporary increase in inflammation associated with most injection procedures. Furthermore, the existing small group studies and anecdotal evidence from athletes and normally active adults alike suggests that PRP therapy can be beneficial in initiating the healing cascade in injured tissues.